Features: Approximately 150 feet of frontage on Bagdad Road and approximately 1,400 feet in depth. Traffic counts on Bagdad Road are approximately 21,00 vehicles per day. 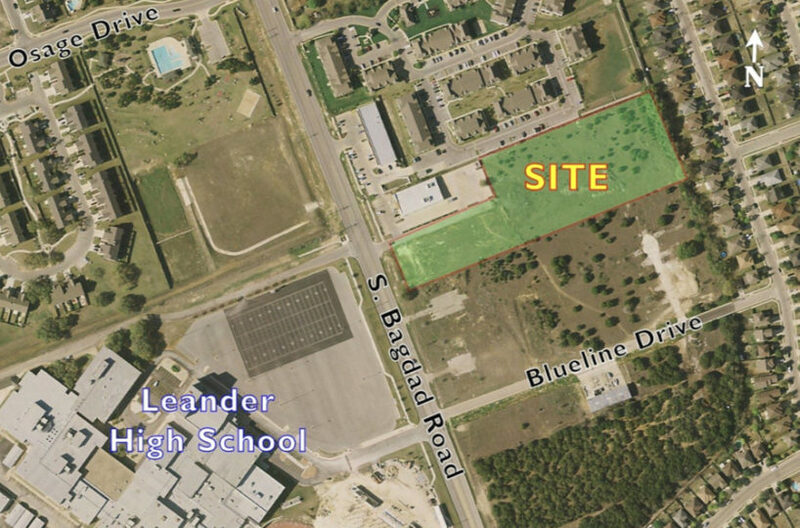 Property is located directly across the street from Leander High school.